Working with independent contractors can be helpful for businesses of all sizes. From the increased flexibility to specialized skills for specific projects, contractors are a popular solution to complex business problems. 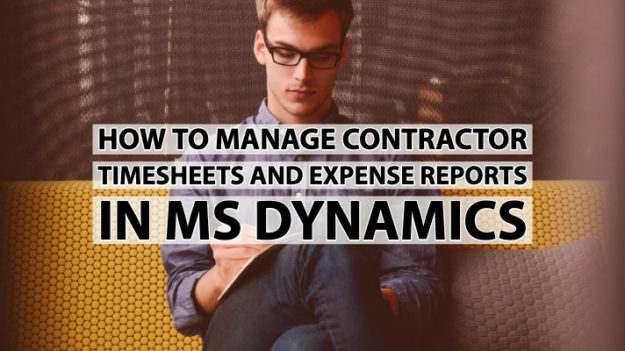 However, with contractors comes an additional challenge when it comes to how to manage contractor timesheets and expense reports in MS Dynamics. One solution is to tie contractors to projects. Then, connect those projects to the contractor’s time and expenses. If you’re still using an Excel spreadsheet, it’s time to upgrade. Or, if you're trying to tie everything in together using MS Dynamics, you might find that you need a more flexible solution. This is especially true since there are several project tracking must-have features for managing contractors using a third-party solution. The key, then, is project tracking. Specifically, here's what you should look for when it comes to project tracking as a method for managing contractors. Compliance & policy enforcement: Any project tracking tool needs to have built-in compliance. This means that the solution should automatically check against your company’s timesheet and expense reporting policies. Then, the solution can automatically give a pass/fail message so that the contractor can make changes (if necessary) and then submit. The goal is to save your company the time it would normally take to manually check for policy compliance.However, if your company works with the government, there are additional requirements to consider. DCAA compliance and FAR (Federal Acquisition Regulations) rules need to be accounted for or you can lose your contract. Make sure that your time & expense solution has a policy engine powerful enough to automatically validate against the rules established by either federal regulations or by individual contract. Mobile App: Sometimes, contractors are on the road. This means that a mobile app is now a must-have for many companies. A mobile project tracking solution provides the flexibility to get more done on the go.Contractors should be able to enter their time worked for the day or week. Plus, they should be able to take pictures of receipts and add them to their expense reports.Mobile features are no longer just "nice to have;" they're a requirement. Budget tracking: This is an essential aspect of any project reporting solution. Automated software gives you real-time visibility to manage and analyze costs. This allows you to make course corrections as you go. From budgets based on specific work breakdown structures (WBS) or operating units to budgets based on reporting periods, your budgeting tool should give you the flexibility to manage your data and get actionable insights using detailed reporting & analytics. 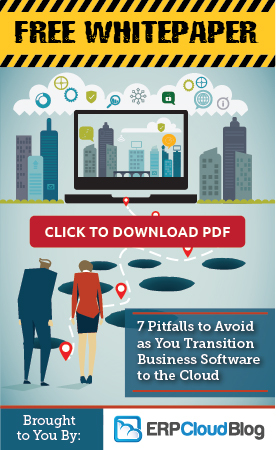 Reporting: If you’re not able to track your time & expense to particular projects, you’re behind. Tracking how time & expenses are spent is essential. However, it’s often data that’s difficult to access and readily understand. Reporting and analytics down to the level of the project, the employee, or even the task give you data necessary to make essential decisions. Customer support: Customer support might seem like a “nice-to-have” aspect of any project tracking solution. However, customer support has become an essential part of any software solution. In particular, look for a solution that's been built with customer support as part of the product, not as an afterthought. Giving users and admins a resource for quickly getting answers to problems will help them stay productive. Ease of use: The product’s ease of use is critical. It might seem nice to have a system with lots of bells and whistles, but if that system is too complex to use intuitively, then doesn’t matter. Usability and the ability to onboard new users without much strain can make or break a solution.A system that's built to be user friendly is a requirement for project tracking software. When you’re tracking projects at such a granular level, it needs to be easy for your contractors to enter data easily to ensure accuracy. Look for a system with a user interface built for its users, whether those users are tech-savvy or not. DATABASICS is third-party timesheet and expense reporting software with MS Dynamics, NetSuite, & Sage Intacct integration.